All the money raised will be purchase books for the school library! 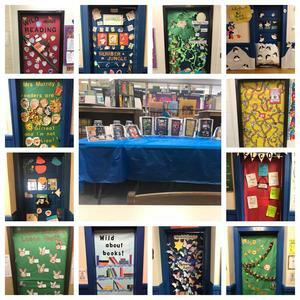 Students and teachers have decorated their doors using the theme "Wild About Reading"! 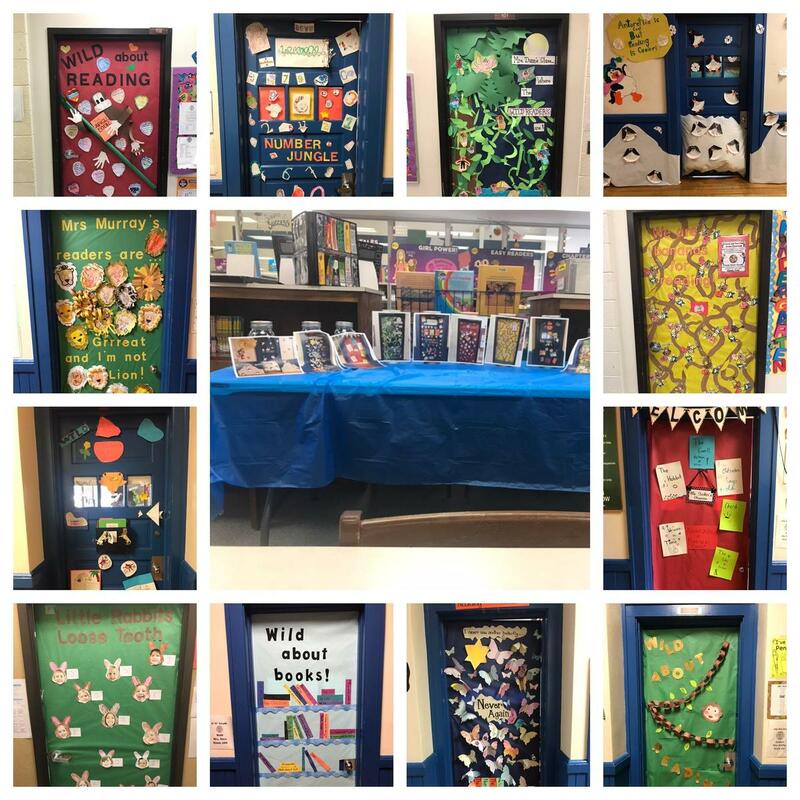 During the book fair families can vote for their favorite door using change. The money collected will be used to purchase books for the school library and the winning homeroom will get a mystery prize!